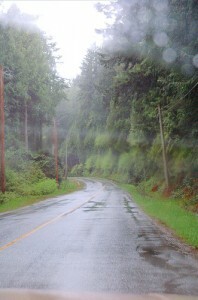 The weather here in BC has returned to its natural rainy state. It is reinforcing the fact that the sunny carefree days of summer are indeed over. I had a wonderful summer relaxing with my family, hiking, visiting the beach and going on road trips. In spite of the change in the weather, I’m excited for fall. As the leaves change igniting the hills around our valley with rich, deep and spectacular colors, I am reminded how the end of something can usher in the beginning of something else. Beautiful in its own way. A little damper and cooler, yet still beautiful and full of promise. Fall to me has always felt like a beginning. It is the perfect time to re-evaluate and re-focus. Whether or not your children or you are returning school, life returns to a more regular schedule. It’s a time to put schedules and habits into place to move us closer to our dreams and our ideal lives. We often hope that this is the year where we finally get it together enough to send our children to school with cute and healthy bento-style lunches, keep an immaculate house, get a promotion, take time for ourselves and exercise regularly. Often times, our grand plans fall short because we haven’t put into place schedules and habits to move us closer to our dreams and our ideal lives. I’ve been revisiting my short term and long term goals and figuring out how to best achieve all the things I want to. I know it is all possible but it will require discipline, planning and effort. I’ve always tried to do things efficiently but becoming a mom has reinforced the need to eliminate time-wasting activities and increase my productivity. The only way I can be there for my family, continue to perform world-class surgery and follow my dreams of publishing my own personal development book is to maximize my time by directing my energy and being productive. And then just when you think you have it all on track, life will often throw us another challenge to navigate. We’ve all been there, and part of being human means we will likely all be there again. I thought it might be helpful to share with you some of the key productivity principles I follow to stay on track, even when you hit the inevitable bumps on that track. I’ll expand on these in future posts over the next month to help you be more efficient and start living a life you love.